The American Wild West is a largely untapped goldmine for gaming. A few standout hits such as Red Dead Redemption aside, the golden age of revolvers, horse riding and wide-brimmed hats has mostly been passed over in favour of yet another zombie game. Thankfully, 1849, a city management game soon to be released on PC and tablets, is here to redress the balance. Set during the California Gold Rush, 1849 is a city management game in the mould of classics such as Sim City and Civilization. The setting, then, is intended to be the centre of the experience. Initially, it struck me that the game-type was a slightly odd choice of genre for the era – the Wild West is famous in my mind for cowboys, horse-back gun battles and rootin’-tootin’ fun. However, on further questioning, the marriage between game and theme starts to make sense. 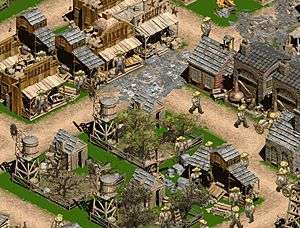 As explained by SomaSim, “the resource management mechanics are based on the settlers streaming in with the dream of striking it rich, and the infrastructure that had to be created and managed in order to support them.” When taken from this angle, 1849 is pitched brilliantly – who mined the metal to make the guns for the cowboys? Who produced their food and built their homes? You did, that’s who. The flow of gameplay is reasonably simple to understand. Houses need to built for prospectors to move in to. 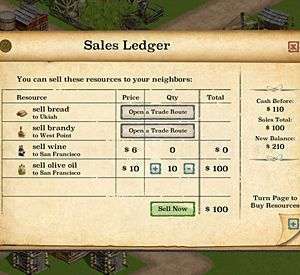 This generates rent, which allows you to then buy and place various buildings – resource generators such as farms and vineyards, resource converters such as bakeries or wineries, and utilities such as a Sheriff’s office or a saloon. Buildings can be upgraded – houses upgrade automatically when enough resources are available, and other buildings can be upgraded by the user when enough currency is available. The enjoyment and challenge that I found came from balancing having enough residents and workers to fill the jobs that were created, without either having too many unemployed people around, or running out of money to provide jobs. It is, ultimately, a simple formula, but keeping all of the different plates spinning can become very difficult once the settlements start growing. 1849, then, is a promising cross-platform take on the city-management genre. It is currently available through early access open beta, either through Steam or IndieGameStand, with a final release date of early May currently in mind.